Introducing SUP YOGA! SUP Yoga Classes available at all of our locations. Please call for details. Jaime started paddling dragon boats in 2010 and competed in the ICF World Championships in Milan, Italy, in 2012. 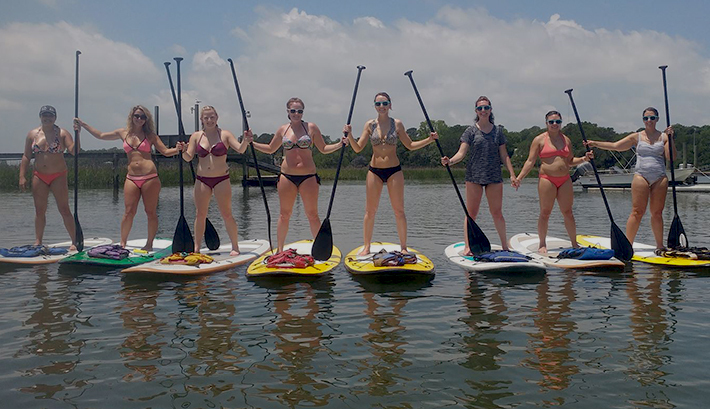 She will help experience yoga in an entirely new way while exploring some of the best spots in Charleston, SC for paddle boarding and sightseeing. Her love for paddling quickly branched out to outriggers and SUPs. But to balance all the yang of competitive paddling, she turned to the yoga mat for some grounding. She is a 200-hour RYT, a certified PLYOGA instructor (a high-energy combination of plyometrics and yoga) and a certified SUP Yoga teacher. She is also a Level 2 WPA paddle board instructor. 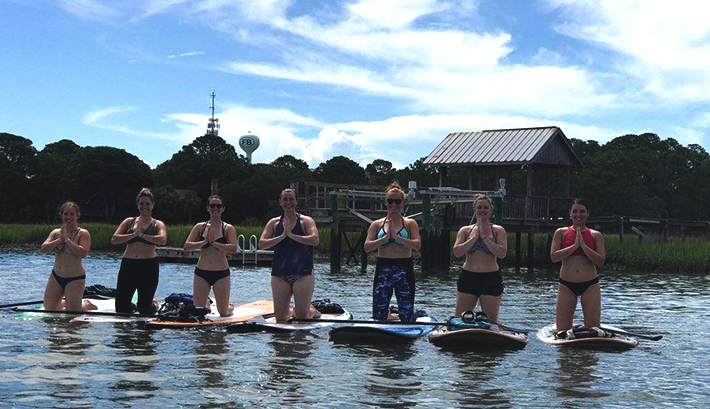 SUP Yoga brings together two of her favorite things in the world, and she loves sharing her passions with paddleyogis of all backgrounds and experiences. When she’s not paddling or practicing asanas, she is writing, editing, and designing books.